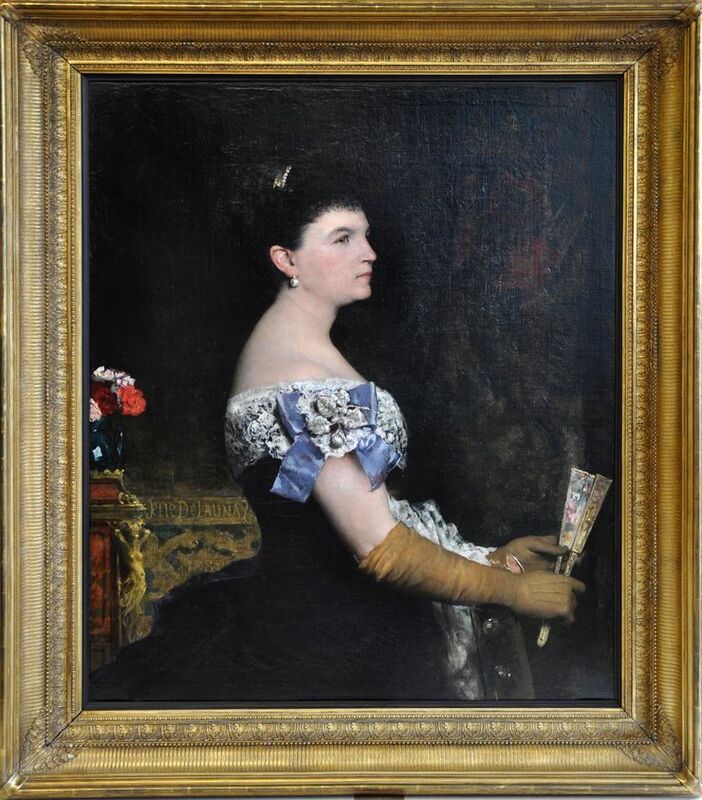 An original oil on canvas by the noted French portrait artist Jules-Elie Delaunay. 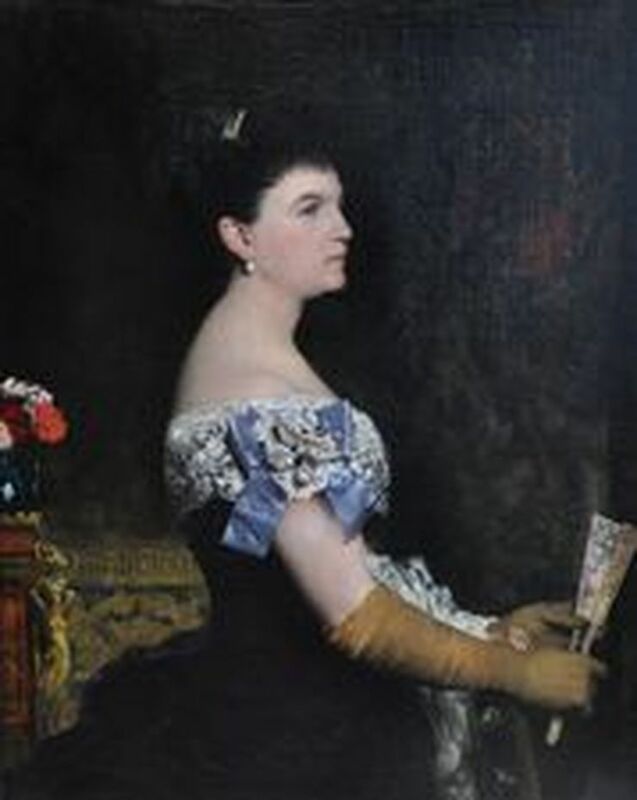 It depicts La Marquesa De Escombreras and was painted in 1889. Gilt gallery frame 50 inches by 42 inches. Excellent condition.